We carry a number of late-model stretched limos for that superb level of classical opulence. Our limousines feature all of the amenities one desires from the ultra-comfortable seating to the full bar and ice chest to the high-end tech accoutrements including Hi-Fi audio and video (flat screen) and more. Our stretches are the modern version of an elite classic. Click here to learn more about our Stretched Limousines. Party Buses have become the entertainment center on wheels. These large buses feature extremely comfortable lounge seating with the additional elements such as mood-lighting while featuring top-level Hi-Fi sound and video systems. 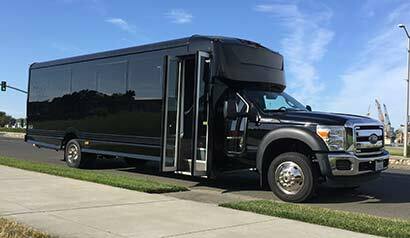 Party Buses are ideal for the night out on the town in San Francisco or the Bay Area or for celebrating with friends or family en-route to a wedding, prom, bachelor(ette) party or dancing from vineyard to vineyard on our Napa Valley and Sonoma Wine Tours. Our Large Party Buses are sleek and luxurious. Click here to see our stable of Party Buses and their amenities. 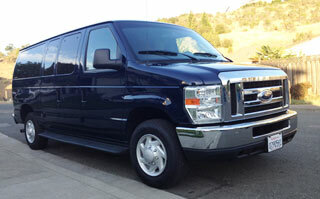 The Executive Shuttle Bus (Limo Bus) is a shuttle van taken to the Nth degree. Executive Shuttles feature the power of buses while having the highest quality of amenities featured in Limousines and Party Buses. These, however, are designed for ferrying large parties in absolute comfort. From ultra-plush “Captain’s” chair bucket-seats with all of the leg-room of a business-class airliner, to the amenities ideal for a corporate outing such as a large flat-screen and surround sound system for presentations en-route to the bar and other necessary elements for relaxing and enjoying your ride. They also feature comfortable bathrooms which make longer trips easier while also featuring tech-features from plugs for laptops and chargers for other electronics. As always the entire cabin is climate controlled with a roof-HVAC system for the perfect temperature at any time of the year. 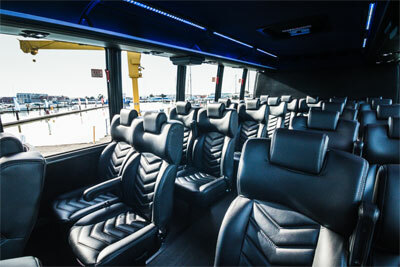 Executive Limo Buses take corporate travel to a new high. Click here to see our stable of Executive Buses and their amenities. The standard for executive travel in style around town and to the Wine Country, the classic chauffeured sedan or larger van offers the comfort and luxury with the perks of executive travel. Our drivers are always punctual, knowledgeable and courteous and our service is always top-notch. Ride in luxury and style. Click here to see our stable of Executive Shuttles and Sedans and their amenities. World renowned for its comfot and luxurious style. 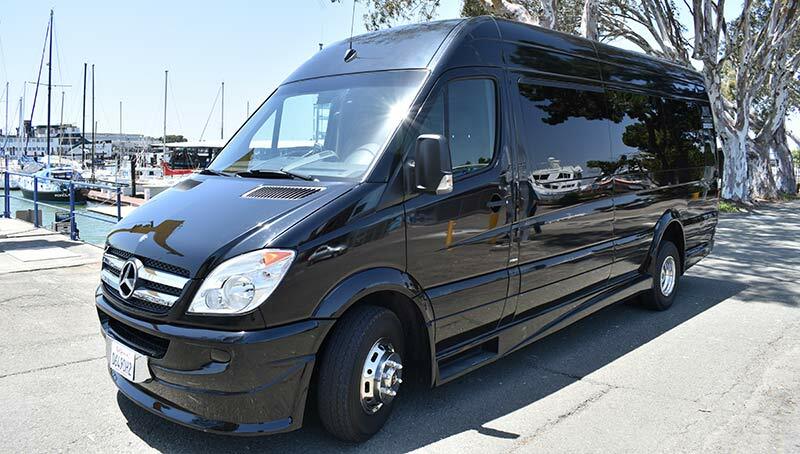 Click here to learn more about our Mercedes Sprinter and its amenities. I just wanted to say that if I could give Reese six stars I would. I use his service to take a very special lady in my life out for her birthday and I must say that the service we received was exceptionally great. The driver was on time and friendly, everything went so well it appeared that I was living a fairy tale. I would refer Reese to anyone looking for professional and courteous service.